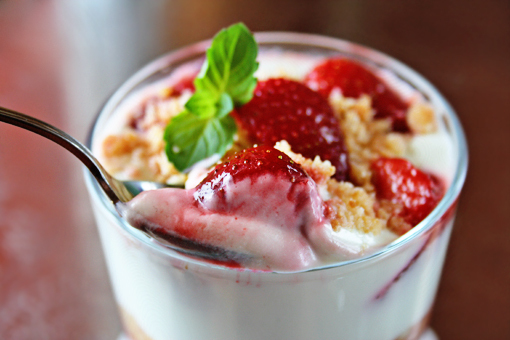 The other day, I stumbled upon a recipe for Strawberry Parfaits. It took just one look and I knew I needed them in my life. They looked scrumptious and refreshing and irresistible and… simply excellent. If something in this big wide world can be referred to as ‘perfection in a glass’ then it’s definitely this dessert. Please, please, you have to make it. It’s that last step you need to make to achieve true happiness. This is what you need to prepare the little cuties. 1. 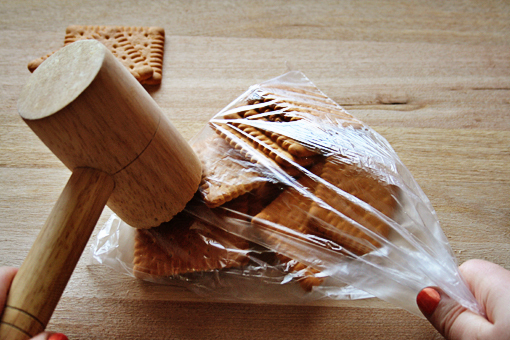 First, in your food processor, crush the biscuits finely. I love my high-end gadgetry. This lovely piece, for example, is going on the market next fall. I was really lucky to get it in advance. 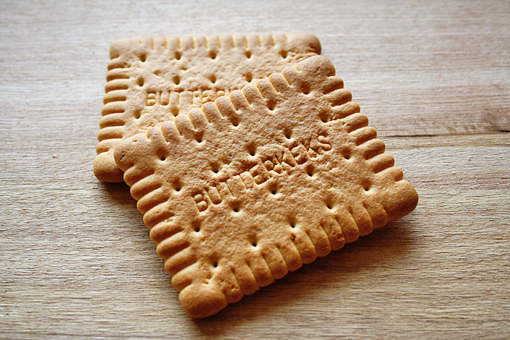 These are the butter biscuits I’ve used. Oh, how we love them – especially sandwiched with jam. 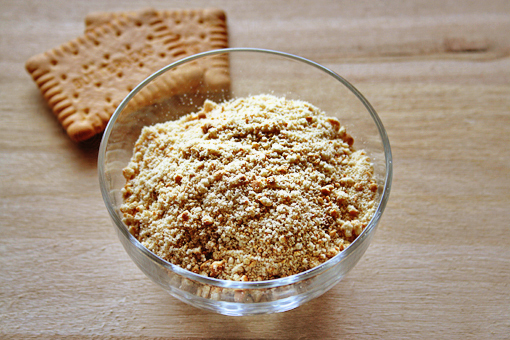 Anyway, these are the biscuit crumbs. 3. … and 2 tablespoons melted butter. You can use a fork to combine it all together. 4. 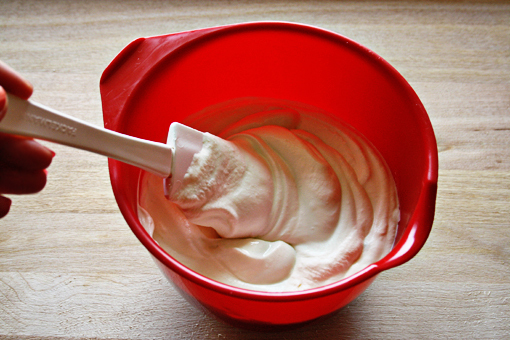 Then, in the bowl of your electric mixer, mix the cream cheese, sour cream, sugar and almond extract. 5. 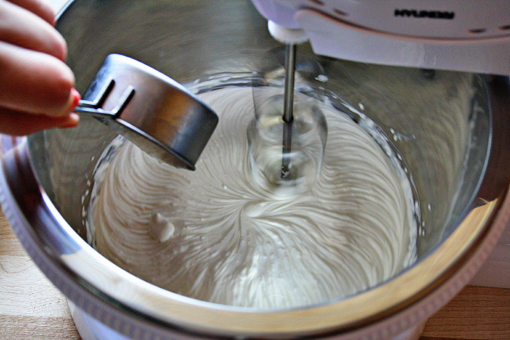 In a separate bowl, whip the heavy cream until stiff peaks form. 6. 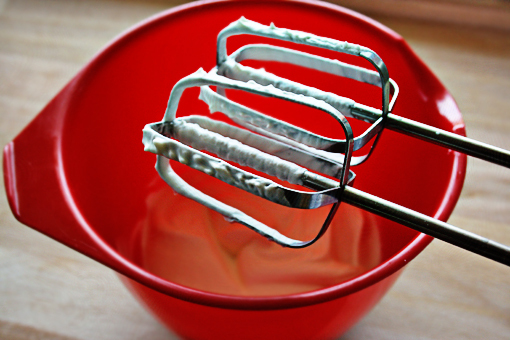 Using a spatula, gently fold the cream cheese mixture with the whipped cream just until combined. 7. 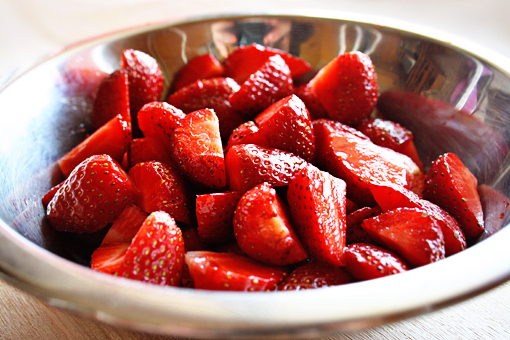 Slice the strawberries into a larger bowl, sprinkle them with a tablespoon of sugar and toss them around the bowl a little. 8. Then we are going to need four glasses. 9. 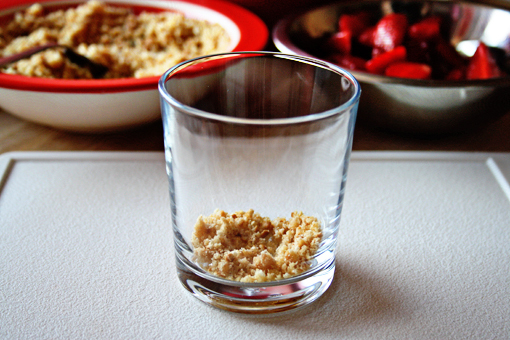 Place about a tablespoon of the crumbs in the bottom of your glasses. 12. … and repeat this procedure once more. 13. 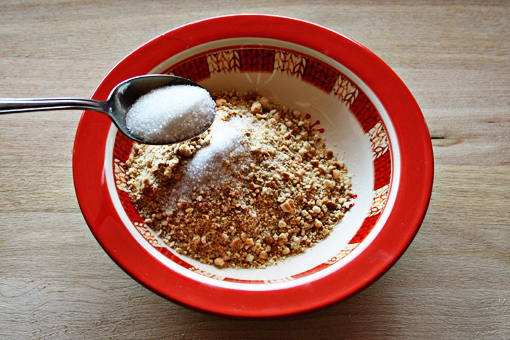 Sprinkle the top with some more crumbs and garnish with strawberries and a mint leaf. … which is exactly what I haven’t done. 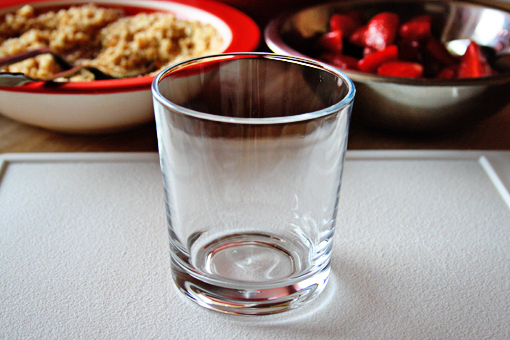 This recipe makes about 4 1-cup (250 ml) glasses. Yummmmm… I love this recipe and I have to try it. 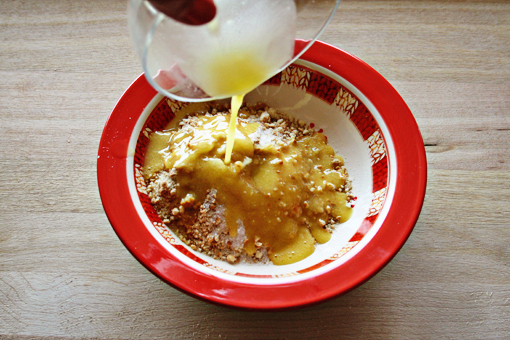 Your blog becomes our home cookbook, and everything I pull from here, my baby loves it. So we save your site my our daily click blogroll. Thanks for sharing. 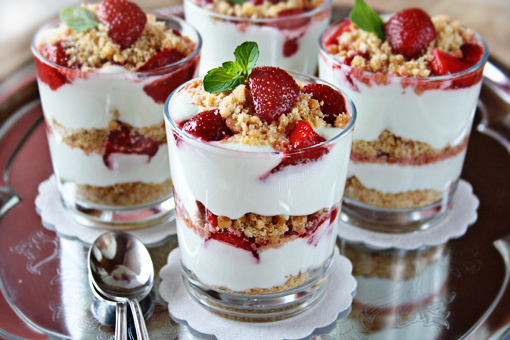 These cheesecake parfaits are absolutely gorgeous! We’ve always enjoyed the classic cheesecake at home, but ever since I got into cooking, I started trying as many flavored cheesecake as I can, lol! I think my kids are going to love this, it will definitely make my menu list this weekend. Thanks for sharing by the way! Oh my! I want I want I want ! Can you mail me some, plsss!? 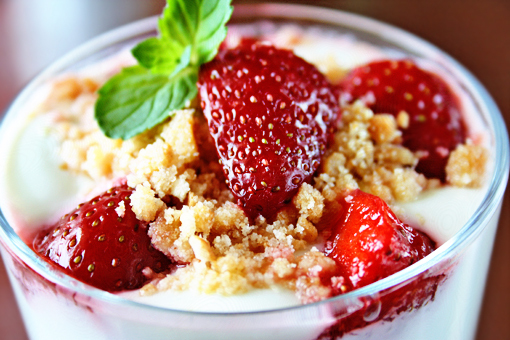 PS: I added you to my blogroll, you made-in-heaven-cute-strawberry-addict-awesome-chef you! 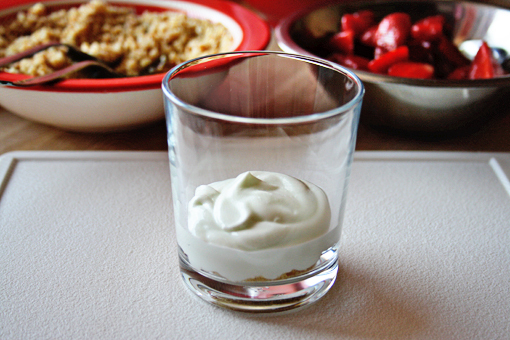 Oh, I can’t do the sour cream, but I could sub it with heavy cream. 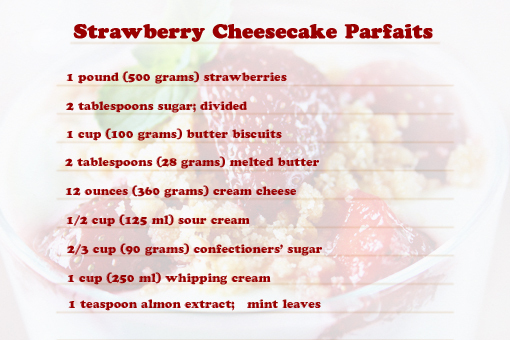 I just had strawberry cheesecake a couple of weeks ago, but there’s nothing wrong with having this now! YUM!! Great photos as usual! Oh wow. I can’t even tell you right now how very much I want to eat this. wow yummmy and pretty! enjoyed looking through your site…great tutorial on photography too! what type of camera do you use? really nice photos! Those look so fresh and good! 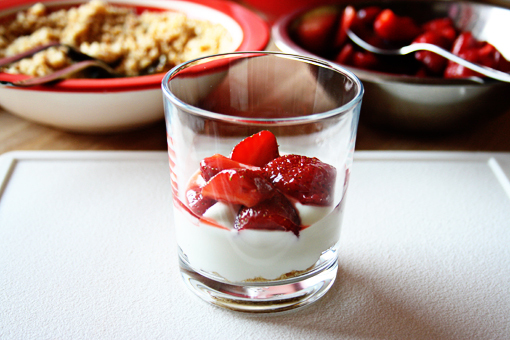 Great way to enjoy the fresh strawberries! What a great recipe! Love it! I’m having some friends over for dinner tomorrow I’m definitely going to give this one a try tomorrow. Will let you know how it went. Thanks for sharing! and BTW ur blog looks fabulous! Definitely an awesome recipe! Thanks a lot for sharing. I would surely give this one out a try at a coming party at my place next week. Ill serve this as a dessert as I know this would definitely go well with a cup of coffee made from my office coffee maker Kudos! 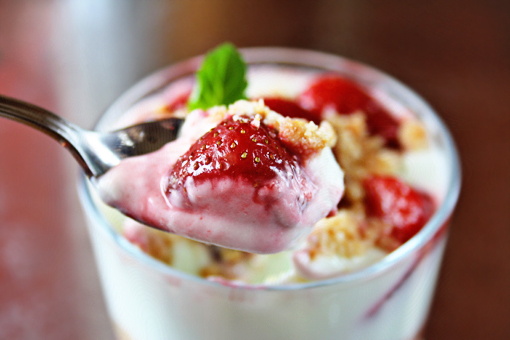 Check out my strawberry cheesecake parfaits. I am always on the hunt for individual mini desserts. This is so perfect. 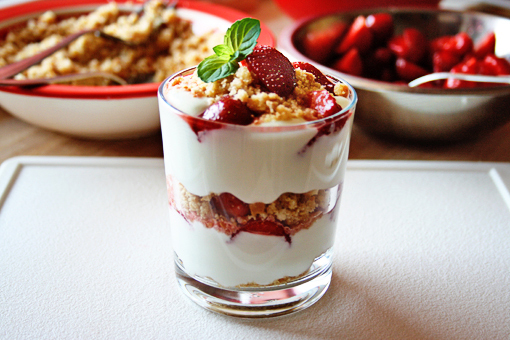 I’ve been wanting to make parfaits for a while and this is the perfect little recipe. So easy to make! hey, what is the serving size?